So this morning I decided to digitize a koalo doll. As I looked at the outline I created, I instantly thought yoda. So then I turned it into a yoda doll. Well as I went to turn it right side out, my finger slipped inside and I thought FINGER PUPPET!!!! 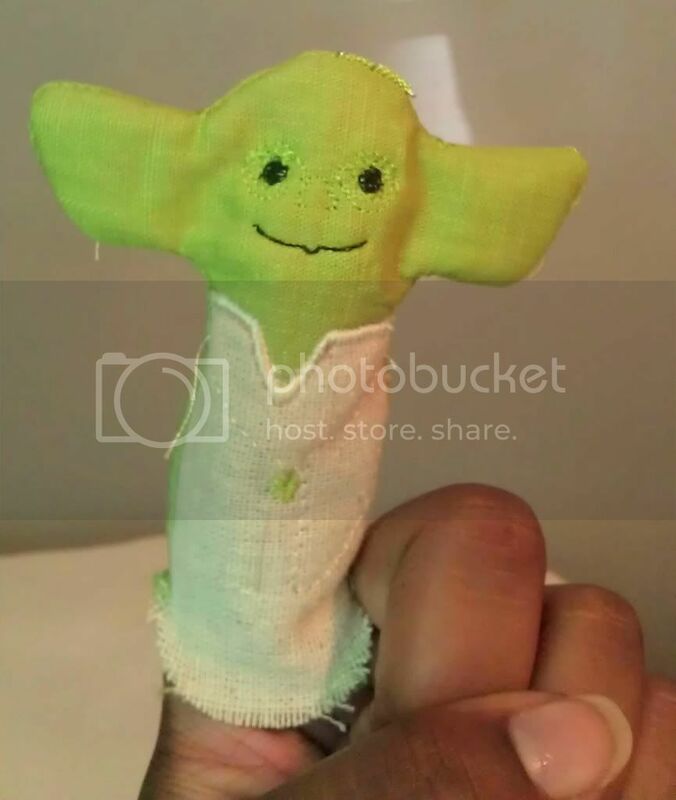 So I created an in-the-hoop yoda finger puppet. I'm gonna make the rest of the crew sometime or another.
. I'm going to take them to work and we are going to play!!! I love doing personal swaps!! Contact if interested. That is creativity upon creativity!! How freaking adorable! When I don't make something the way I wanted, I've never seen a FanBoy creation! Kudos! I might have to try my hand at some of the characters now! This is brilliant!! Envious of your workmates!